Sandel, Michael J. What money can’t buy : the moral limits of markets. Farrar, Straus and Giroux, 2012. In January, I reviewed Scott Carney’s engaging book, The Red Market, about the business of organ procurement, a system where economic markets are used to supply bodies and their parts. Carney showed that as a result, human organs have become commodities, bought and sold every day. In the end, he concluded that the market is not the best way to allocate health. In What Money Can’t Buy, Harvard’s Michael Sandel broadens the discussion of markets and morals to consider the ethics of allocating all sorts of social goods, including education, environmental protection, procreation and more, based on ability to pay. A faculty member in Government at Harvard, Sandel begins his argument by stating that since the 1980’s economic markets and market values have expanded into broad areas of life. MDs in large cities charge a retainer for premium access to a doctor. Elite universities admit the children of donors, who otherwise would be denied. Lobbyists in Washington pay homeless people to reserve their place in line for congressional hearings. A North Carolina charity pays drug addicted women to be sterilized. Inuit Canadians sell the right to shoot endangered walrus. Children routinely are paid to get good grades. The market has become so pervasive that Americans do not notice it. 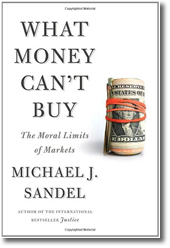 Sandel argues that using the market to allocate social and civic goods is unhealthy. Since the mid-90’s, the distribution of wealth in the U.S. has been widening, with the gap between the rich/poor growing ever larger. In an economy where social goods are for sale, those with modest resources are disadvantaged in health, education and political representation, and children are denied equal opportunity. In addition, commercial markets change values. Common values such as citizenship and environmental protection are downgraded when turned into commodities. For example, everyone should treat the environment responsibly, but using carbon offsets to reduce greenhouse gasses may evolve into a means of avoiding the changes in everyone’s behavior that are necessary to address the climate problem. Sandel concludes that markets allocate goods, but they also express values toward the products exchanged. Injecting the market into every transaction changes fundamental values worth caring about. This thought-provoking book ends with a question “Do we want a society where everything is up for sale? Or are there certain moral and civic goods that markets do not honor and money cannot buy.” Recommended. Here are the newest movie arrivals for October. Look for our other new titles in a later post. Roberts, James A. Shiny objects : why we spend money we don’t have in search of happiness we can’t buy. 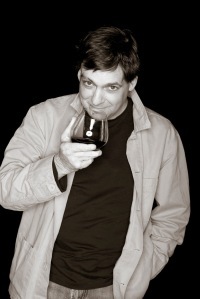 HarperOne, 2011. Two weeks ago, I transformed an empty bedroom in our home from a hideout for a teenager to a welcoming space for a 40-something couple seeking treatment at Duke’s Cancer Center. 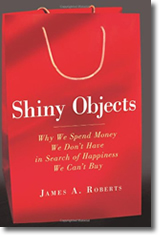 As I boxed up the novelties and memorabilia, I wondered “Why would anyone ever buy this stuff?” In his new book, Shiny Objects, James A. Roberts, professor of marketing at Baylor, explains why we buy so many material goods when we know that happiness cannot be purchased. Author Roberts begins his book by discussing American consumer culture, where goods and services are valued because they confer a higher social status and project a desired self-image. Yet as people earn more and spend more, they are no happier. Once basic needs are met, there is no additional happiness with additional purchases. People quickly adapt to a higher level of consumption and any satisfaction quickly dissipates. More spending and consuming often follows and people find themselves on the “treadmill of consumption.” Even worse, earning and spending money takes time away from children, friends and spouse, and it is in nurturing these relationships that truly makes people happy. Roberts describes American materialism in a number of contexts. He shows how the American Dream – the opportunity to better oneself though hard work and free choice – evolved historically into a consumer culture. He provides insights into the psychology of consuming and explains how materialism may be genetic. He includes a chapter on the prosperity gospel, which teaches that donations to a church will lead to financial returns for the giver. At the end of the book, Roberts calls for readers to live more simply, freeing up our time and money and strengthening relationships with family and friends. Even though we live in a consumer culture and material world, we are not doomed to pursue wealth and materials possessions. We can choose a more meaningful life. This topic has been covered in other excellent books that have crossed my desk in recent years, but Roberts’s book seems especially accessible. He writes with warmth and humor, including a quiz in each chapter to enables the reader to evaluate his/her own relationships with consumer culture and personal happiness. Recommended. Dan Ariely, B. Duke Professor of Psychology & Behavioral Economics at Duke University, spoke to members of the Librarians Assembly at an event sponsored by the Professional Affairs Committee on Thursday, October 11, 2012. He holds appointments at the Fuqua School of Business, the Center for Cognitive Neuroscience, the Department of Economics, and the School of Medicine. He is interviewed regularly on public radio on shows like Marketplace and All Things Considered. He writes a popular and active blog. He produces a weekly podcast on Duke’s iTunes U called Arming the Donkeys. He has a regular column in the Weekend Edition of the Wall Street Journal, Ask Ariely. His recent book the The (Honest) Truth about Dishonesty has been reviewed by the New York Times, Washington Post, and even the Ford Library blog. He has written two prior New York Times bestsellers, Predictably Irrational and The Upside of Irrationality. Finally, Dan guest-edited a new book entitled The Best American Science and Nature Writing which was just published October 2nd. *Though his talk was titled “Free Beer,” no beer was served at this event. How very dishonest of you, Dan! Book Reviews: Honesty, The Best Policy? Ariely, Dan. The (honest) truth about dishonesty : how we lie to everyone—especially ourselves. Harper, 2012. Peppers, Don and Martha Rogers. Extreme trust : honesty as a competitive advantage. Portfolio / Penguin, 2012. One summer day an MBA student asked for my help in downloading reports from the Forrester Research database. She told me that her company hired her for an internship because she had free access to Duke databases. Her job was to download reports and to give them to her employer, who did not want to pay for the research. She could not understand why this would be unethical. In The Honest Truth about Dishonesty, Fuqua faculty member Dan Ariely begins with a different story about “wishful blindness,” an example from the Enron scandal. Many people at the company were blind to the corruption, although the evidence was obvious. 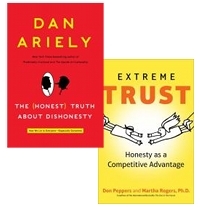 Ariely concludes that dishonesty is a deeper problem involving more than a few corrupt corporate leaders. Even the most virtuous among us has the potential to cheat and Ariely’s new book examines the forces that drive our tendencies to be honest or not, both psychological and environmental. He shows how conflicts of interest distort our perceptions of honesty. He discusses the role of rationalization, such as cheating a small amount so we can retain a positive self-image. He illustrates that dishonesty increases when the payoff is not directly tied to money. And he explains that we are more likely to succumb to temptation when we are tired. As in his previous books, Predictably Irrational and The Upside of Irrationality, Ariely’s new book is a quick and entertaining read with heavy doses of examples and experiments, anecdotes and observations. Many of the ideas presented are counter intuitive. While some of the content may overlap his other books, this work is well worth reading. 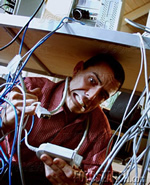 Trustable companies make it easy for customers to conduct business. They pay attention to the customer’s experience. They form long term relationships with customers and protect their interests. They serve their customers proactively and keep their focus on the long term. Companies that engage in these activities benefit from the transparency inherent in the new environment, made possible by social media, like Twitter and Facebook, as well as consumer reviews on sites like Yelp and TripAdvisor. In today’s environment, what customers say to one another matters more than what the company says in its advertising. Readers in leadership and management roles will value the insights offered in this book. 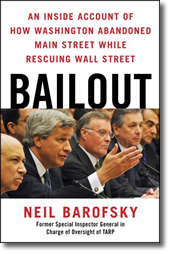 Barofsky, Neil M. Bailout : an inside account of how Washington abandoned main street while rescuing Wall Street. Free Press, 2012. Writing book reviews can be depressing. I am not referring to the isolation or self-doubt that plagues any writer. 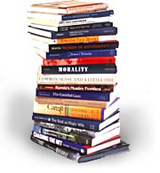 I am talking about the subject matter of many new books — today’s global economic situation. Over 20 books reviewed or annotated in this blog cover the spectrum of this meltdown, what happened, why it happened and what should be done to prevent it from happening again. These new books include analysis by financiers Henry Paulson and George Soros, as well as economists Joseph Stiglitz and Nouriel Roubini. Books about Lehman Brothers, Ameriquest, AIG, Fannie Mae, Merrill Lynch and Bank of America are infuriating and sad, as are personal stories by journalists bankrupted by the mortgage crisis or by cutbacks on Wall Street. But reading Bailout, which details exactly how change happens (or not) in Washington, is deeply disturbing. When Bailout begins, Neil Barofsky is a respected prosecutor in the U.S. Attorney’s Office investigating mortgage and securities fraud. In 2008, Barofsky is recruited by the White House as the special inspector general in charge of oversight of TARP funds, heading an office known as SIGTARP. His new job is to hold the U.S. Treasury and the banks it had bailed out accountable for the use of $700 billion of taxpayer funding in TARP. It is well known that in the global crisis, executives on Wall Street had exploited a financial system that guaranteed huge profits and pay regardless of risk because the U.S. taxpayer would cover the losses. But Barofsky also explains that government officials running the bailout program came from those same financial institutions and ensured that the bailout funds would benefit those same executives and firms. When TARP was proposed, the funds were slated to buy troubled mortgages and bonds, which would stabilize the banks and allow the Treasury to modify the terms of the loans to give relief to homeowners in foreclosure. But the legislation was written loosely and instead of helping homeowners or the housing market, the funds were used to provide direct injections to the banks, which was quite lucrative to the executives who caused the crisis in the first place. Instead of using the funds for increased lending to stimulate the economy, the banks used the funds to buy securities and other banks, for salaries and bonuses, and for improving their balance sheets. When Barofsky moves from New York City to Washington DC in 2008, he finds himself in a new world, where power and appearances mean everything. He writes frankly about the Washington powerful, especially Tim Geithner and others from the Treasury Department, who obstruct his efforts to institute fraud protections and to investigate mismanagement of TARP funds. By the time Barofsky leaves his position in 2011, TARP has ultimately resulted in larger banks, increasing the risk of another economic crisis. Little help is offered to struggling homeowners or the housing industry. He senses disillusionment among the public and encourages taxpayers to revolt against the government for taking their money and distributing it to banks without holding them accountable. This is an informative book about a complicated subject that is engrossing and personal. Recommended.